Have you ever wondered what secrets other mothers are keeping? Jenny has too much on her plate: literally – she’s only pregnant with one child but she’s already eating for three. Not to mention trying to juggle her future life with a baby, a nightmare boss, a know-it-all sister, and a bizarrely laid back husband. She used to be famous for her ‘Single Girl About Town’ journalism. But not only is she bored of parties, she also hasn’t been single for years, and is now 8½ months pregnant. Like – what’s the deal with scary Gail’s mystery husband? How is posh mum Antonia already out drinking when Jenny can barely make a cup of tea? Why isn’t sweet-natured Ruth answering any phone calls? 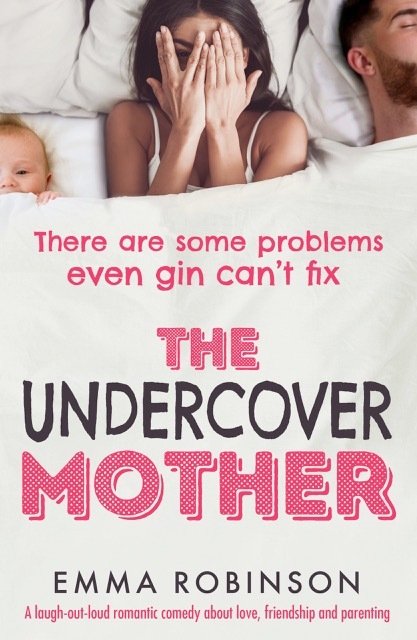 The Undercover Mother is a feel-good parenting page turner that will make you laugh, cry and recognize every moment. Perfect for fans of Why Mummy Drinks and The Bad Mother’s Diary. My first thoughts for this book are laugh out loud hilarious! I simply couldn't stop laughing through this book. Emma Robinson's writing is so relatable that any Mother/Reader can put herself in Jenny's shoes. Does having a baby change you? Are you different from those perky, single gals that can stay out past midnight and dress to impress every day? Jenny doesn't think so. She is determined to take maternity leave and come back to her column " The Single Girl About Town" with nothing stopping her. That is until Jenny's boss gives her the bad news. She's been replaced! Now Jenny is bound and determined to write a new, funny blog to impress her boss so she can have a new column once she's ready to work again. However, Jenny has NO IDEA what she's getting herself into. Jenny meets a great bunch of ladies who she dubs “The Spice Mums” and discovers life with a baby is a bit different to what she was expecting. The book is hilarious and fun. It capture perfectly the transition experience from a woman to a mom. In the middle of this book, I was afraid that it will offer a cliché conflict of chic lit, but thankfully, that predictable conflict is resolved quickly in a non dramatic way. I think this book will be great for first time mothers looking for the fun in all their frustrations as well as seasoned mothers who can totally relate to what they went through right after they realized their whole world was about to change.